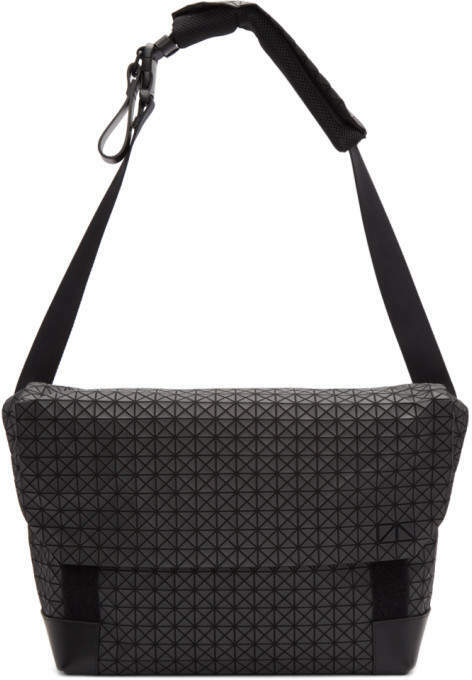 Canvas messenger bag in black. 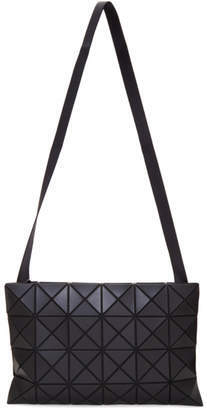 Tonal buffed leather trim and signature tonal triangulated matte vinyl coating throughout. Adjustable webbing shoulder strap featuring padded mesh strap pad and pull-tab on D-ring hardware. Concealed zippered pocket and logo plaque at face. Quilted and padded mesh panel at back face. Foldover flap with Velcro-tab fastening at main compartment. Logo flag, zippered pocket, and mesh pocket at interior. Tonal textile lining. Tonal hardware. Tonal stitching. Approx. 13 length x 12 height x 6 width.